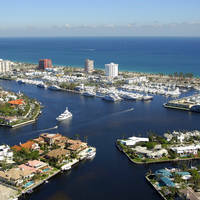 The Boca Raton Inlet is located on the East Coast of Florida 24 miles south of West Palm Beach and 16 miles north of Ft. Lauderdale near Intracoastal Waterway (ICW) Mile 1048. 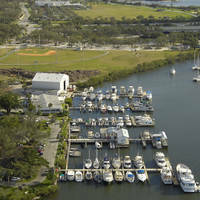 The first bridge was built across the Boca Raton Inlet in 1923 and was a wooden structure of pilings with an opening to allow watercraft through. Today, a modern bascule bridge carries auto traffic across the inlet. No reviews yet! 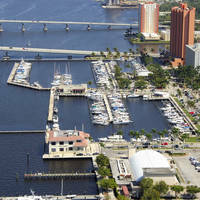 Be the first to write a review of Boca Raton Inlet.